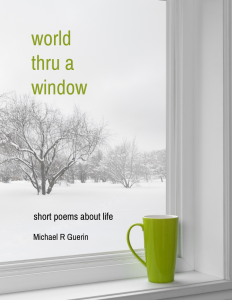 short poems about life - world thru a window - thoughts. words. action. From the simple to the sublime, my second collection of 33 poems sheds a spotlight on our relationship to others (and ourselves) as reflected in the (often) mundane experiences of everyday life. Each lived moment can be an epiphany, each word or gesture a gateway into a deeper and fuller understanding of our existence in all its complexity.